Location - Chinatown Point Mall, Singapore. 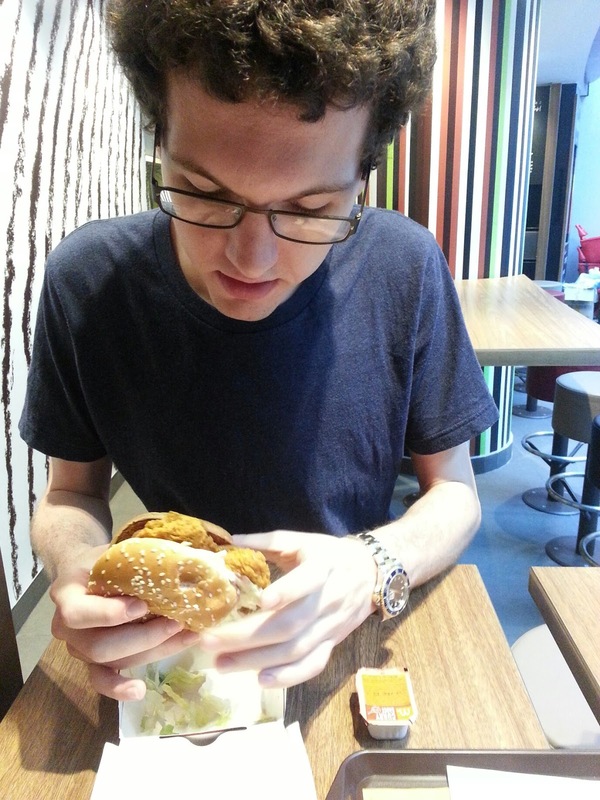 Calories - +800kcal for just the burger! Let me start this review by saying something to my Singapore readers. Your food is not spicy. 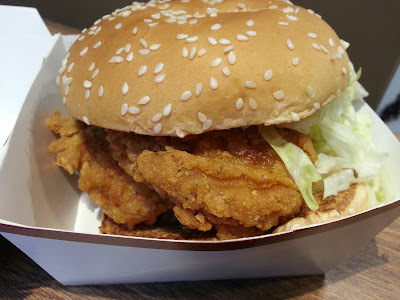 I've had a couple people ask if I haven't reviewed the McSpicy because I thought it would be too spicy, and I LOVE spicy food so that is defiently not the reason why. I love the food here, but I've yet to have a meal here that I've even found what I would consider to be 'spicy'. I keep a bag of dried chillis in my desk to add to my mixed rice lunches, as sometimes its just too bland without any heat. Despite being asked by many aunties in the hawker centres if I wanted my noodles spicy, nothing compares to the Korean food I used to eat back in Seoul whatsoever. 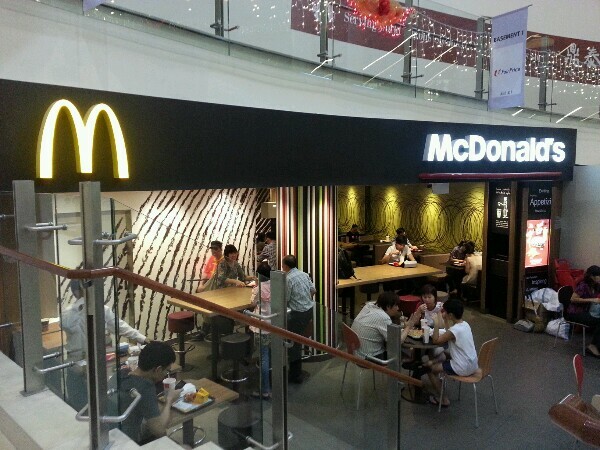 The McSpicy has the exact same problem. The McSpicy is pretty much identical to the Shanghai Spicy Chicken burger that is available in Seoul, except that its LESS spicy here, and it costs about $2-4 more. 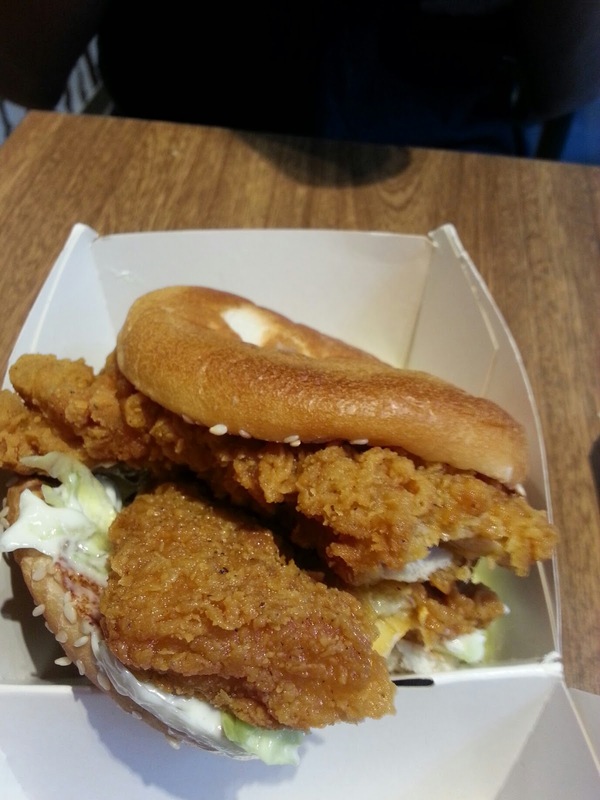 You can't get a double in Korea, and that's probably good for your arteries and waistline. It's a regular menu item, and though this is the first time I've had the "Double McSpicy", I had it back when it used to called the "Mega McSpicy" back in 2009 (photos at the end of the review). I never wrote a review on it, because I always hated the photo I took, and I just found it a little disinteresting compared to some of my other items I have in the backlog. My fiancée and I used the $5 lunch coupon for the Double McSpicy and a Coke Zero. Even then it's still somewhat expensive, because in Seoul a single is only 3000KRW ($3.48SGD, or $2.84USD) for a proper lunchtime combo, without the need for coupon! The Chicken doesn't look as fresh as what I had. I recently had the Spicy Grand Chicken burger in Dubai. That was FAR spicier than this, but the size and juiciness of the chicken earned it back a couple points. Dude,!! No offense. I have tried both korean and Singaporean food and let me tell you; Singapore food is by far the spiciest. Seems like you tried the wrong food to gauge the hotness level. Have you ever tried Malay or Indian food. seems like you consume chinese food reg? 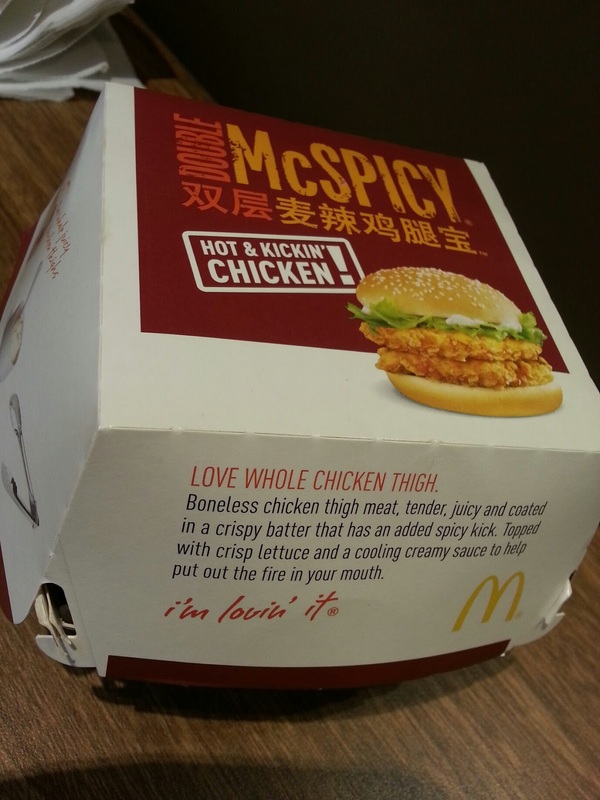 chinese singaporeans cannot take spicyness in their diet. You will notice that most of their food are broth and soup based. No chilii. Ever tried ayam penyet. The side dish comes with sambal which is veryyyy spicy even I can't handle it. Try more food before you judge. 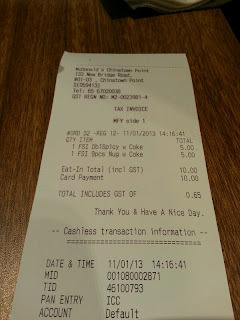 Mc spicy IS NOT A Singaporean dish. LOL you have NOT touched a single legit spicy food in singapore yet. we have TONS of spicy food and TONS of non-spicy food. if all you've been eating is macdonalds then LOL pls don't judge our food, thanks. Sounds like the Singaporeian readers here are protective of their food. I agree with the author, I've found all the food in Singapore to be not spicy at all. Chinese, Indnian, Malay and Indonesian, none of it is spicy. Of course. It's very nice on Indonesian fish or chicken, don't find it all that spicy though. The spiciness of the Mcspicy i always wondered is it from some sauce of was it marinated with spices or something else. Don't kid yourselves Singaporeans. Your food is not spicy as compared to most of the other countries. From someone living in Singapore for 15years. True singaporean food sold in stalls is not as spicy as it used to be anymore to cater to the different people coming here to live and work. To cater to a more universal palate so to speak. Home cooked is a different story. I make very hot sambal belacan, guaranteed to blow ur head off. Anyway now im dying to try this capsaicin powder, thks mate.